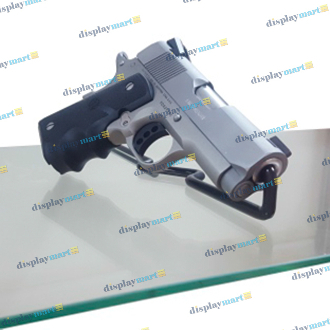 The DisplayMart.com glass shelf pistol display provides the ideal way to show handheld guns on glass shelving. Perfect for any gun store! Each of these gun displays measures 10.5" long by 2.5" high by 1.2" wide, and is compatible with both 3/16" and 1/4" glass.